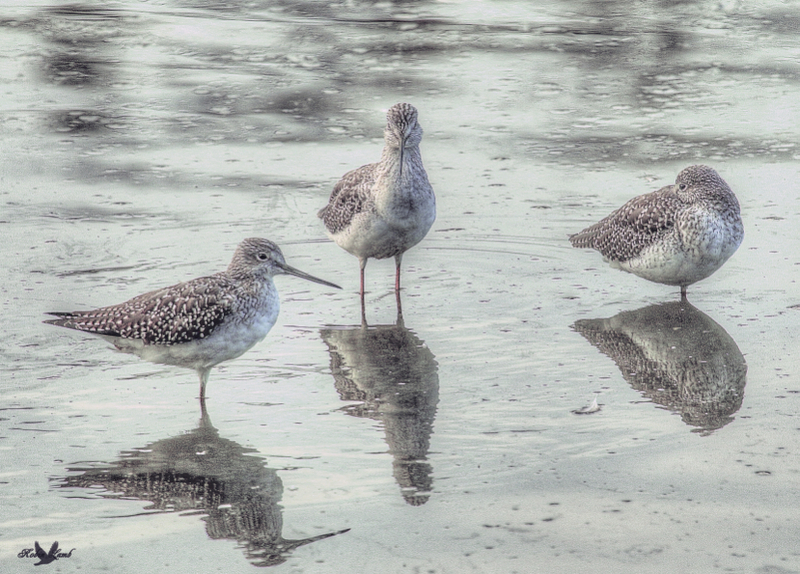 Greater Yellowlegs just hanging about. This entry was posted on 2014/10/16 by Robin. It was filed under Birds, Shorebirds and was tagged with B.C., Greater Yellowlegs, Ladner, Reifel Migratory Bird Sanctuary. The Yellowlegs, most beautiful of birds. Bob, thanks! They are quite pretty! They are pretty birds and this is a great image. I love that each is in a different pose. The reflections are a nice bonus!